I was pretty tired of nail polish that left my nails a little yellow. Nail polish that chips wa-a-ay to easily and doesn't come off easily. 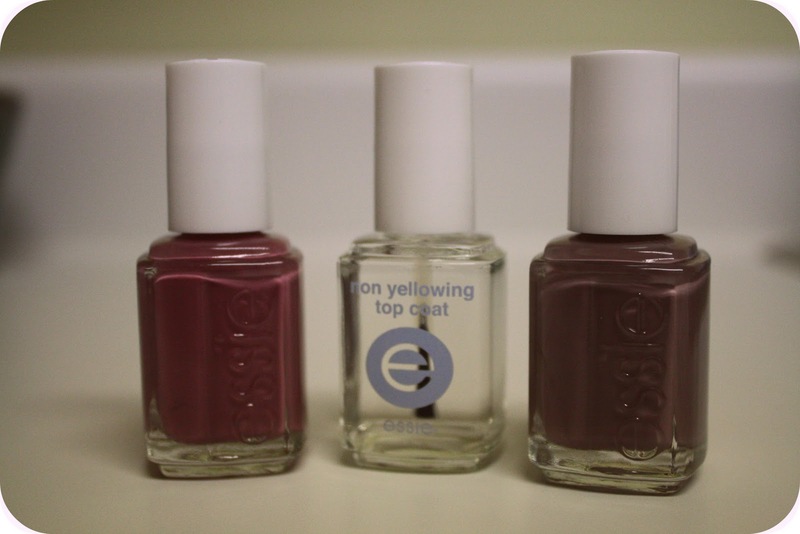 I went to a cosmetologist's beauty shop with Lorine (my little sis) and bought some ESSIE nail polish on SALE. Well. I just loved it. Not only was the color great. It hardly chipped. AND it came off so easily - all of it. No residue. I was left with clean, non-yellowed nails. Woohoo! I painted some clear (cheap) nail polish on Monday - by Tuesday it was already cracking and coming off! I said, "This is it. It is worth it to take some money out of my FF (fun fund)* to spend a little more moola for some decent nail polish."